BOONE, N.C. — True, traffic was insane, Roess Dining Hall resembled Grand Central Station at rush hour and there were scattered torrential downpours. 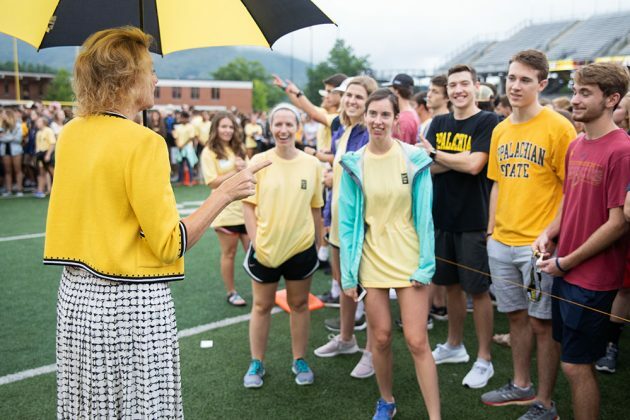 But on the upside, Appalachian State University’s pulse quickened and the smiles were contagious as 19,000-plus students settled in for the first day of classes, Tuesday, Aug. 21. 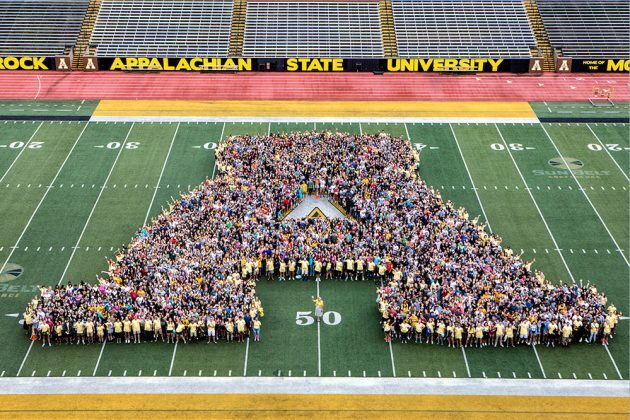 This year’s enrollment marks the university’s largest ever, hovering just above 19,000. However, the official figure will not be released until early September, after class drop/add is completed and final census figures are submitted to the University of North Carolina System. 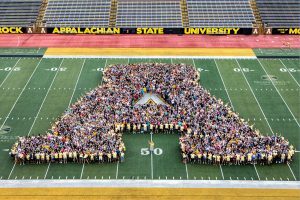 The first-year class, also the largest ever, has a projected enrollment of 3,370, consistent with the university’s 2 percent growth trend. Tuesday was also the first day of classes for students enrolled in the Beaver College of Health Sciences, many of whom convened in the newly completed Leon Levine Hall of Health Sciences (LHHS) building, the first completed project funded by the Connect NC Bond referendum approved by voters in March 2016. A formal opening and ribbon-cutting is scheduled for the facility Friday, Sept. 21. Three of the five departments that will occupy the LHHS held classes on opening day — Nutrition and Health Care Management, Social Work, and Communication Sciences and Disorders — with approximately 50 faculty and about 800 students slated to be teaching and learning in the building during the first week. The university expects to be fully moved in over the coming weeks. On Monday morning, about 5,000 students, faculty and staff gathered in Appalachian’s Holmes Convocation Center to hear convocation speaker Judy Shepard — mother of slain hate crime victim Matthew Shepherd — advocate for inclusion and acceptance. 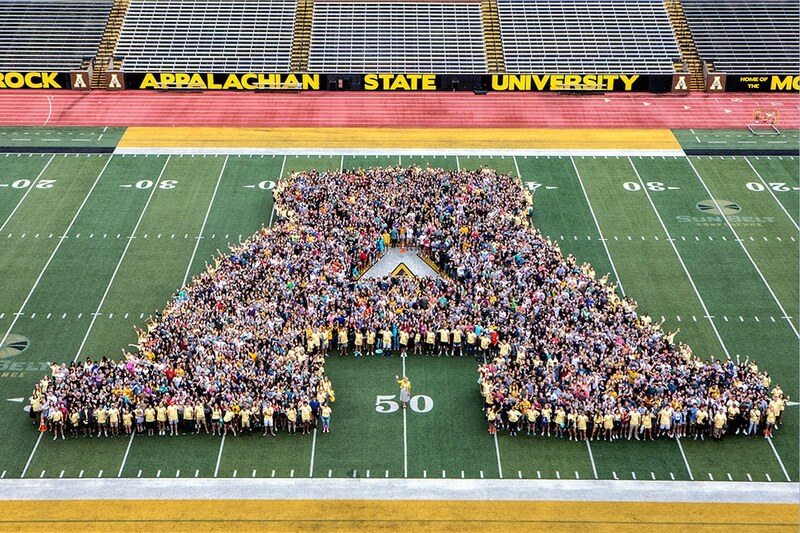 Afterward, first-year students proceeded to Kidd Brewer Stadium for what is becoming the traditional photo formation of the block A — Appalachian’s branded mark.